Taholah is a new variety for 2016. Four pounds from a single plant in 2016 convinced us to offer it immediately to trial growers. 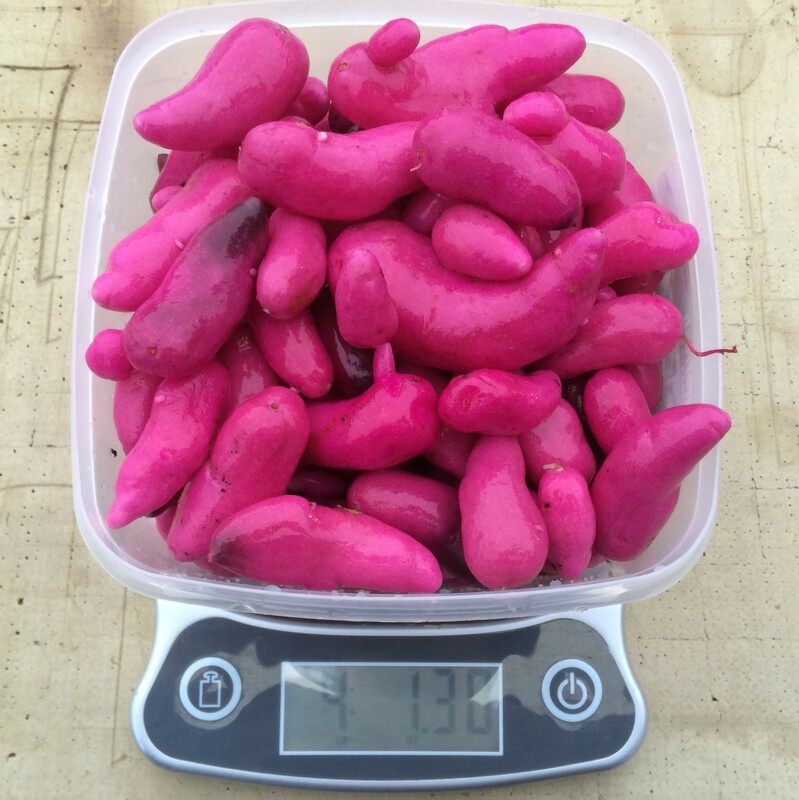 I noticed that it was forming tubers back in mid-August, which is about a month earlier than any other variety we have and could be a big step forward for a crop that normally only forms tubers once short days arrive. Tubers are long and often lumpy, with vivid purple skin and orange flesh.